In order to run Komodo on your Mac, you may have to make a small change to your system preferences. This is quite simple though. Simply download the Komodo dmg from here and follow the instructions on that page. This warning is in place because of a system setting which only allows applications from Apple's App store to be installed on your device. This setting is very simple to change. Simply go to your system preferences (click on the search icon on the top right of the desktop and type "System Preferences"). Go to "Security & Privacy" then click on the "General" tab. 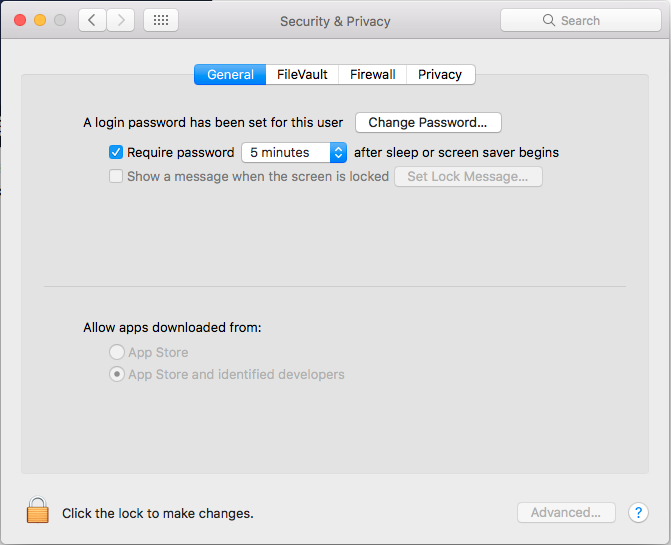 Click the lock icon on the bottom right of the window to allow you to make changes and under the section labelled "Allow apps downloaded from:" select the option "App Store and identified developers". Now you should be able to run Komodo without issue!